Really, what else do I have to say? Today’s movie would’ve been better served 3 days ago, but oh well. 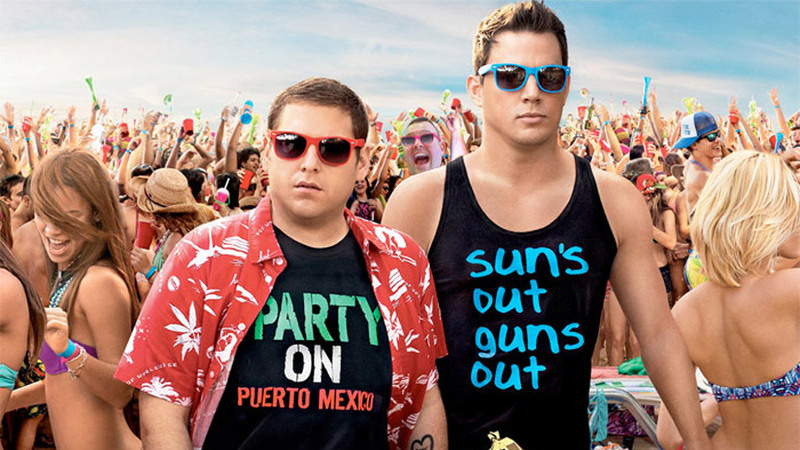 For movie 25, we went back to Jump Street….for….wait for it…..22 Jump Street. Only the second movie I’ve seen in the theaters for Geek Mentality Movie month - and both times I saw comedies over the big comic book movie. That’s okay, there’s nothing better than seeing a comedy in the theaters and people are really laughing. This movie definitely delivered. Comedy sequels can be tricky. You want the characters back that you love, doing familiar things, but then you can get bored/annoyed if they’re just doing the same thing. This movie basically took that and threw it right back in our face, but blatantly telling us that they were doing the same thing - because it made money - and the big bosses want more money, so they give you more money to do the same EXACT thing - and make them more money. I guess that’s called meta, right? They played with all the conventional sequel tropes and did not hide the fact that they were doing it - and it was hilarious. The two directors of this movie, Phil Lord and Christopher Miller, also directed the first movie, and I think they did everything bigger and better. And I didn’t realize until tonight that they also directed another movie I wanted this month, that also featured the two stars of this film - in a way…. I’ve heard recently that people are tired of Jonah Hill, or that they don’t get it. I don’t get those idiots, because this guy is frigging hilarious and pretty much great in everything I’ve seen him in (including yet another movie from last week). He and co-star Channing Tatum - who I never think of for comedy, but really kills it in these movies - really work well together. You can tell they had a lot of fun making this movie. And Ice Cube. Yup. Ice Cube. Hilarious. Not much more I can say about this one, except I’m glad my brother asked me to go see this. There are a lot of cool little surprises, and if you want to laugh - see this movie. If you want to laugh with a bunch of people, go see it in the theater. And don’t leave right at the end.